This week marked 29 days of the government being shuttered, with no end in sight. 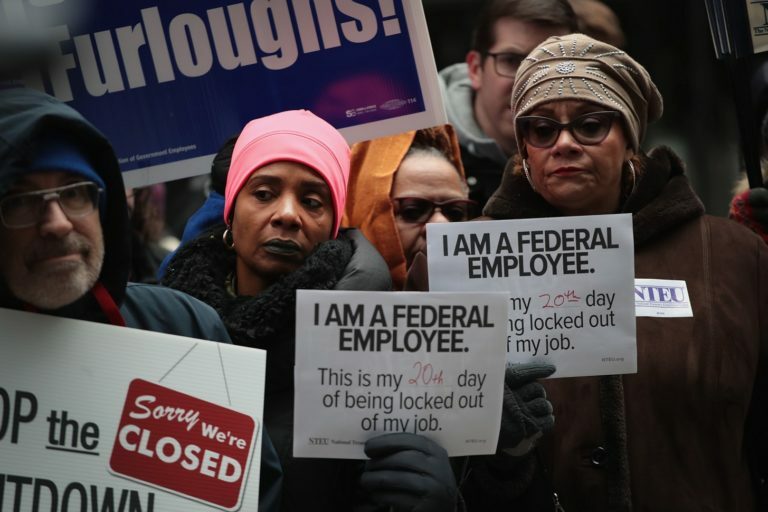 Agencies continued to feel the effects, as thousands of furloughed employees were called back to work unpaid. Federal workers formed blocks-long lines at food banks, and borrowed from retirement accounts to make ends meet. Trump’s approval continued to fall this week, with one poll indicating he is losing support from his base. 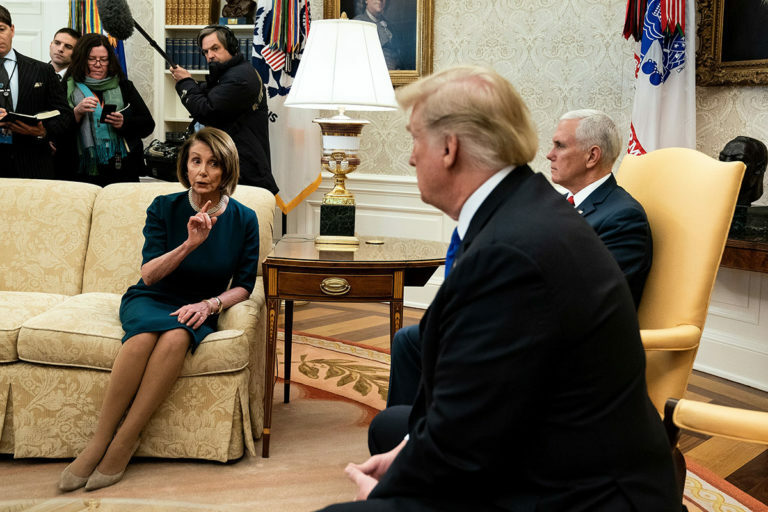 Conversely, House Speaker Pelosi’s popularity hit a 10-year high as the two did battle, and Trump reckoned with the first check on his power. 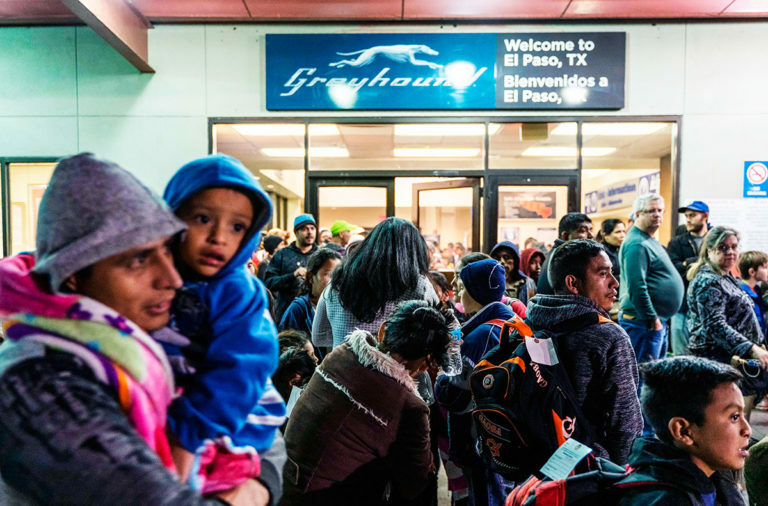 This week Trump struggled to create stagecraft and find narratives to justify funding for his border wall, while keeping the government shuttered. 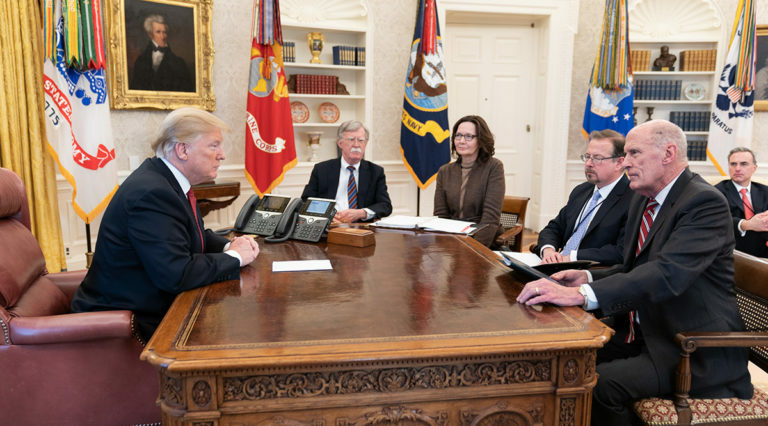 Trump delivered a prime-time Oval Office address, visited the U.S.-Mexico border, and held an immigration round-table to make his case, while the reality of the shutdown hurt federal workers and contractors, and agencies started to cut back or cease operations and functions. This week, for the first time since he took office, Trump faced a check on his power as the 116th Congress was sworn in. As House Speaker Nancy Pelosi took back the gavel, she made clear she will take Trump on, telling the Times she considers herself Trump’s equal, and the “TODAY” show that Trump can be indicted while in office. 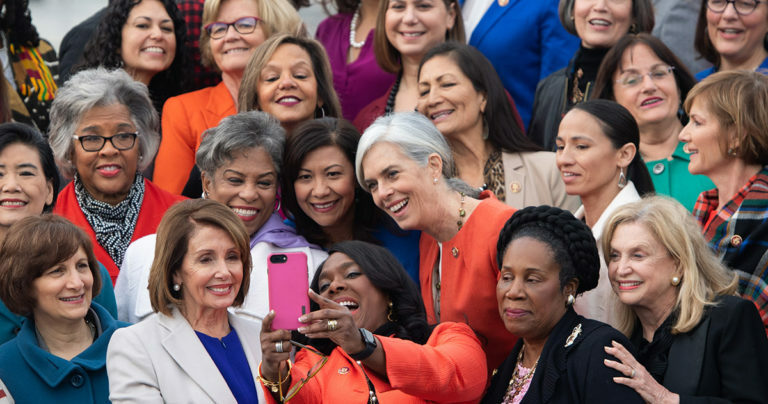 The 116th Congress, the most diverse by race, religion, and gender — on the Democratic side — stood in sharp contrast to Trump, who increasingly surrounds himself with rooms full of white men. 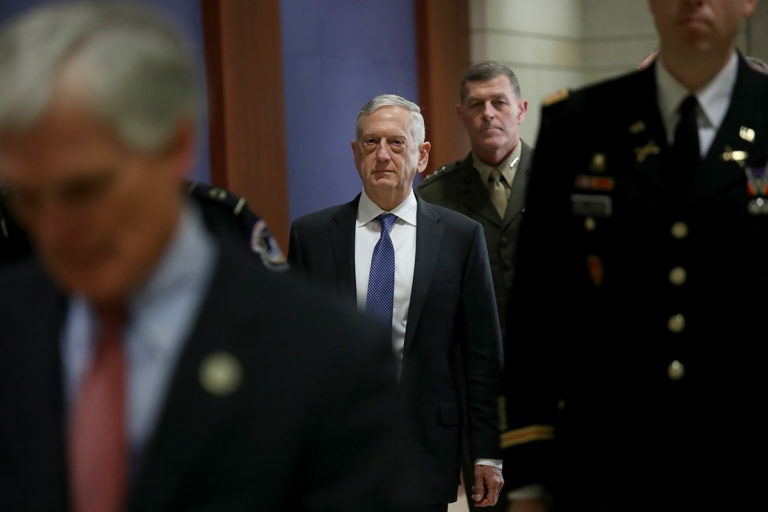 This week Defense Secretary Jim Mattis, thought to be one of the sane and sober voices remaining in the regime, resigned in a public letter rebuking Trump’s treatment of allies and deference to authoritarians. Trump’s abrupt withdrawal of U.S. troops from Syria was the last straw for Mattis, a decision reportedly made on a call with Turkish President Recep Tayyip Erdogan the week before. Mattis’ departure elicited bipartisan concern, and placed the country on edge. As I’ve been listing, I’ve always suspected things would crescendo as we were moving towards the end of the Trump era. Week 109 is the longest list so far, with 181 not normal items. Up until now, Trump has never been questioned or countered in his authority, other than in rulings by the Judicial branch. 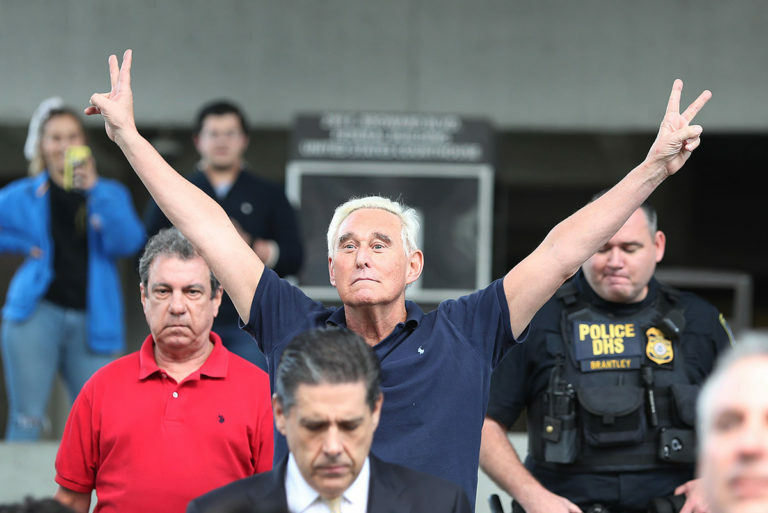 Soon he will be facing Democrats as equals — a House that can hold him accountable — as well as the multiple investigations and lawsuits steaming ahead and expanding in scope. Trump is unprepared and understaffed for what is coming his way starting January. 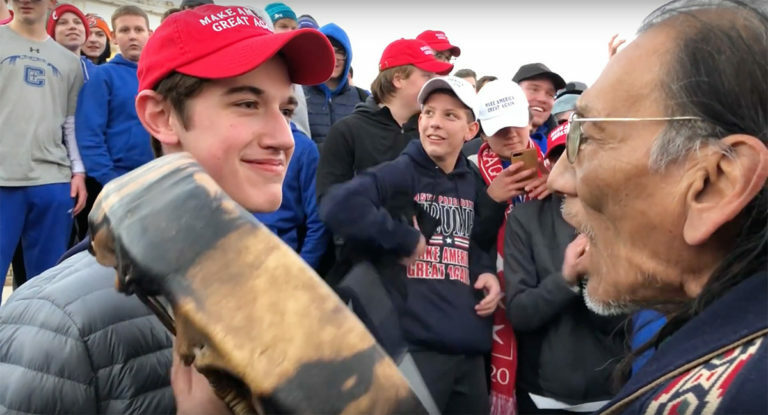 He is going to hate 2019. 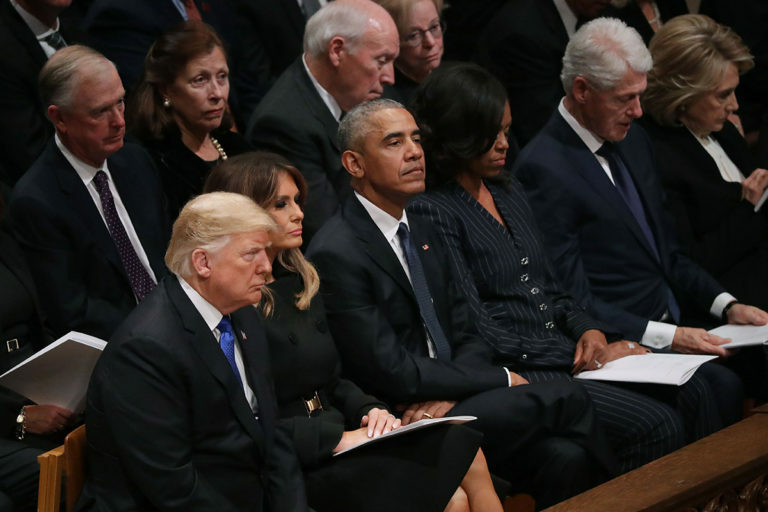 This week featured the normalcy and tranquility of the funeral of George H.W. Bush, juxtaposed with bombshells of damning information on Trump coming from the Mueller probe and other investigations. As the Mueller probe is reportedly nearing its close, Mueller’s team filed court memos relating to three of its most high profile defendants: Michael Flynn, Michael Cohen, and Paul Manafort. The Southern District of New York also filed a memo on Trump Friday —including the clearest implication yet that Trump committed felonies. As the country awaits Mueller’s final report, Trump’s White House has no plans to counter it in place, but rather will reportedly wing it. This week started with escalations, both between Russia and Ukraine, and at the U.S.-Mexico border. 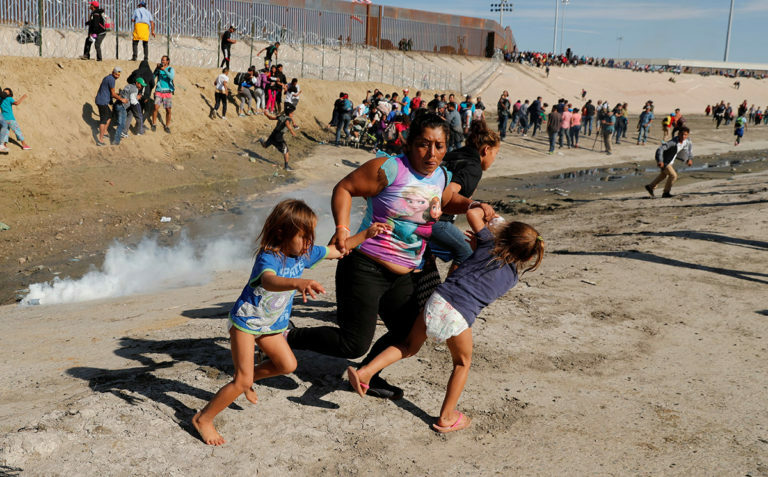 Heartbreaking images and video surfaced from Tijuana of migrants from Central America, including women and children, some in diapers, being showered with tear gas from U.S. Customs and Border Protection. As Trump and the regime sought to justify the use of force, and Republicans remained almost universally silent, other condemned the action, including the Auschwitz Museum which invoked the uprise of Hitler. This, as data and reporting continues to point to a dangerous uptick in right-wing violence and acts of, and normalization of, hate.